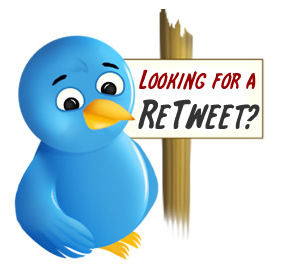 Retweets are a coveted result of activity on twitter – you want your post to be shared beyond your connections. But how? Retweets help spread your message, can increase brand awareness, visits to your links, and help you meet business and marketing goals. Use hashtags to connect your content with related content. Add a bio to your Twitter profile that explains your purpose for being on twitter. Add links to your blog, website, Facebook page, Linkedin profile,etc. to your Twitter bio. Time of day matters. Tweet different content different times of day and see what resonates with your followers. Look at your stats and act on what they tell you. Make tweets easy to read – not too many abbreviations. How about adding to this list? Comment now. One point I will add is that the length of the tweet matters. Some people don’t use the built in RT function and may want to simply quote you. Make sure you give people room to add their comments. Great Article! Awesome comments afterwards too, @Michaelwhite1, I completely agree with you. Getting retweeted is one of the most valuable gifts that someone can give you on Twitter. Other ideas I would add are that famous quotations are always among the most retweeted tweets, so those are a great tool for any account where quotations might fit into the feed. People also tend to retweet things that are really funny, or calls to action. I hope that adds to the discussion. Thanks for the great post!